This practical and explanatory guide for library and cultural heritage professionals introduces and explains the use of open licences for content, data and metadata in libraries and other cultural heritage organizations. Using rich background information, international case studies and examples of best practice, this book outlines how and why open licences should and can be used with the sector's content, data and metadata. Open Licensing for Cultural Heritage digs into the concept of `open' in relation to intellectual property, providing context through the development of different fields, including open education, `open source', open data, and open government. It explores the organizational benefits of open licensing and the open movement, including the importance of content discoverability, arguments for wider collections impact and access, the practical benefits of simplicity and scalability, and more ethical and principled arguments related to protection of public content and the public domain. the benefits and risks associated with open licensing. Open Licensing for Cultural Heritage is as impressively informative as it is exceptionally well written, organized and presented. 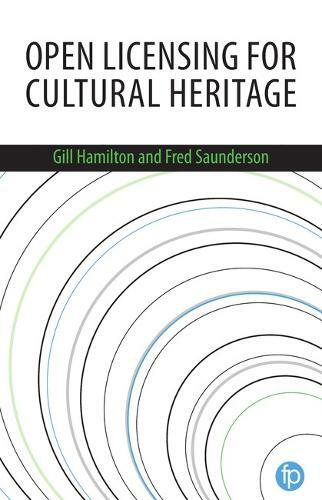 Unreservedly recommended as an essential, exceptional, indispensable, core addition to community, governmental, and academic Library Science collections, Open Licensing for Cultural Heritage is a necessary and invaluable instructional reference. This book will be of value to any institutions considering making their collections available digitally. The background and context information is largely clearly relevant, concise and sufficient. The book is very readable throughout. It will also be suitable for students studying courses in library and moveable cultural heritage management. Indeed I have recommended the book to my own students.